Tonight I will be broadcasting live from The Mother of All Baby Showers as a correspondent for MomTV! Log into MomTV.com at 7:30 pm EST where I’ll be giving away nearly 20 prizes and featuring celebrity guests Rosie Pope from Pregnant in High Heels and Alan Fields! 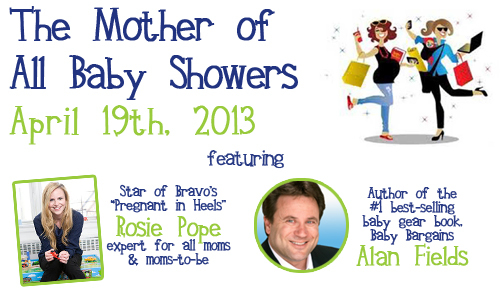 I am so excited to bring you guys inside a one-of-a-kind event, The Mother of All Baby Showers, live from DC! Tune into the live broadcast right here where we’ll be giving away awesome prizes from brands like Joovy, Enfamil, Happy Family, Pediped, and MORE! And you won’t want to miss appearances from special guests such as Rosie Pope, star of Bravo’s “Pregnant in Heels”, and Alan Fields, author of Baby Bargains! If you live in the DC area, it’s not too late to be there in person! 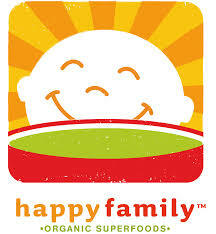 Just visit http://www.dcmotherofallbabyshowers.com to register, which is the only way to win the $20k in raffle prizes! To join in, simply access the broadcast through MomTV, where you’ll have a front row seat to all the action!